Why you should have Personal Business Cards? If you are looking to find a job with a Big 4 accounting firm, most likely you are a college student. If you aren't a student, then you are either looking to leave your current job to start at a Big 4 accounting firm or are currently unemployed. Regardless of if you fit the profile of any of the above, most likely than not, you will switch jobs more than once in your lifetime. This means that your current business card contact information, if you have one, will be invalid soon enough. My solution is to have a personal business card. If you are a student, not only will you stand out in front of Big 4 recruiters, but you will also have something to give back when the professional you are networking with gives you her business card. This helps her remember you because most likely than not, you will be the only one with a personal business card. Most students won't have one. If you are looking to leave your current job in a couple months and suddenly meet someone who wish to keep in contact with in six months, what good is your current business card? This is precisely why you should have a personal business card. There are times when I wish I had a pen to jot down someone's contact information. Other times, I'll just program it into my phone. But, it is much more convenient to have a personal business card to hand over with your information. That way your contact information doesn't get lost in transcription. A personal business card is a easy way to be discreet about providing contact information. You hand them a card and they put it in their pocket. Now of course we shouldn't hand out your personal business card like flyers. Create a connection with someone before handing over your contact information. Life is about meeting people and understanding them. So when the opportune time comes along, you'll be prepared to help them or they help you. What should be on your personal business card? A personal business card should help sum up what you are all about. For starters, your name should be on it and any professional designations. For example, if you are a practicing CPA or not. Depending on how you brand yourself, I would add a title underneath your name. For example, if you are student, put student. If you have a side business, I would put some title associated with that side business. It shows that you are doing something outside of work. Note: In some states, if you print CPA on your business card and you are not a practicing CPA, you will need to add 'Inactive' after it. Review your respective states' CPA guidance for more information. 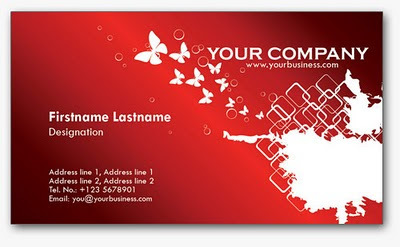 Include your email, phone number, and personal professional website on your business card. For added flavor, I also like to add a line for my hobbies. This way it helps other people remember who I am. Always carry a personal business card.